The Day of the Russian Diplomat was marked in New Delhi. 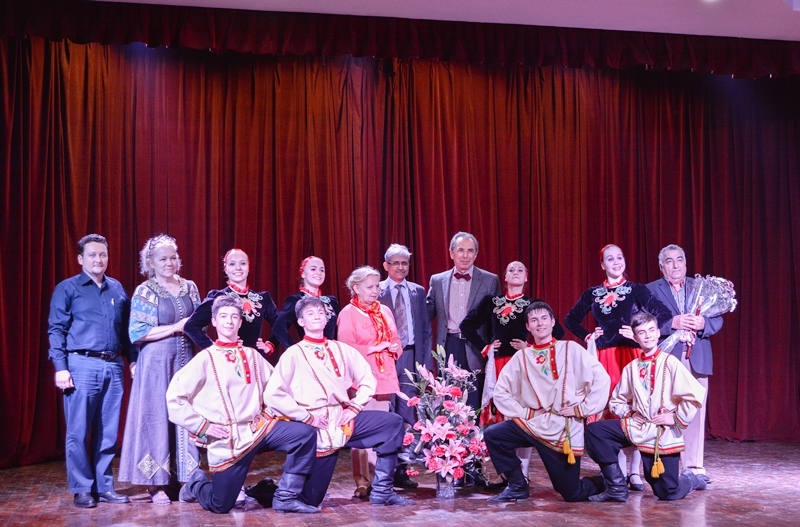 The Russian Centre of Science and Culture in New Delhi marked the Day of the Diplomat with performances by youth folk dance ensemble ‘Kristall’ and flautist Mikhail Sadoev, along with a photo exhibit depicting the history of diplomatic relations between Russia and India and an exhibition of Russian folk costumes. Jointly organised by the RCSC and the Russian Embassy, the programme marked the Day of the Russian Diplomat. A Photo Exhibition, “The History of Diplomatic Relations between Russia and India: Down Memory Lane” was on display. The exposition comprised 50 historic photos, including Indian Prime Minister Narendra Modi’s official visit to Moscow in December 2015. Among the guests were Ramadhikari Kumar, President, INDAPRYAL, Sanjay Vedi, Programme Director, Indian Council for Cultural Relations (ICCR) and Sergey Karmalito, Senior Counsellor, Russian Embassy. Svetlana Ishkuzina, ‘Honoured Worker of Culture’ of the Tatarstan Republic, is Artistic Director of ‘Kristall’. The artists from Kazan presented a medley of 11 Russian folk and national Tatar, Bashkir and Kolyma folk dance compositions, to great appreciation from the audience. Winner of several international competitions, the ‘Kristall’ team has been visiting India for the last three years; performing in Mumbai in January, and participating in the recent Surajkund Mela. The ensemble has won the Grand Prix at international festivals in Romania, Macedonia, Bulgaria, Germany, Finland, France, Italy, Greece, Hungary, Turkey, Ukraine, Kazakhstan, Georgia, Armenia, Lithuania, the Czech Republic and Poland. Mr Vedi and Mr Karmalito felicitated the artists after their rousing performance.